Find out the release date below! 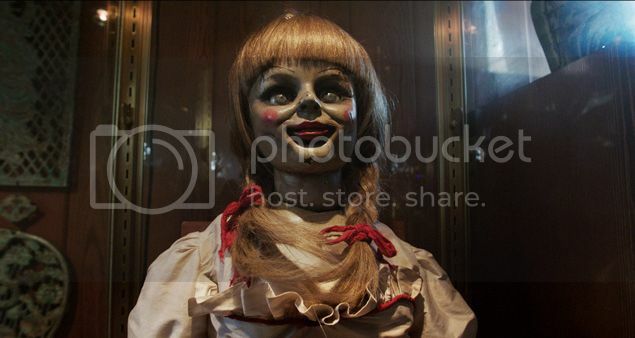 Late last year, we reported to you guys that production was moving forward on Annabelle! If you live under a toe nail and never heard of this film, well...I'm sorry about your living arrangements and next allow me enlighten you! This film will feature the ridiculous creepy doll that appeared in James Wan The Conjuring (2013). Well, GUISE...the film's official release date has been revealed and I couldn't be more thrilled! The film will be released on October 3rd, 2014 right around the most MAGICAL yet horrific time of the year! The Conjuring's Director of Photography, John R. Leonetti is the director of this film, so let's see what you got, Mr. Leonetti! I was hoping that James Wan was the director but I hopefully John doesn't let us down! Plus James Wan will actually be involved as an executive producer. If you care, the film will star Annabelle Wallis, Ward Horton and Alfre Woodard. This is awesome news, I know I'm super excited! We'll definitely keep you guys updated on any developments!